Bee populations are struggling and hives are failing, but a simple bee hotel can provide a refuge for these beneficial insects, improve your neighbourhood’s biodiversity, and help pollinate plants and trees. This is a fun activity to get people involved at a local park, allotment or community garden. It's best done between September and February. This kind of hotel will appeal to a number of different bees. Assemble your tools and volunteers. Using the scissors, cut the plastic bottle just below the neck. Cut your bamboo or cardboard to roughly the length of the remaining bottle. Fill the bottle with the bamboo or cardboard until it is tightly packed enough to stay in the bottle. Use twine or brown tape to bind them together if they’re a bit loose. Find somewhere green, sunny and sheltered — as bees love the sun — and position the hotel just off the ground so it doesn’t end up in the shade too early. If you want it higher than a couple of feet, run some twine through the bottle first and tie either end and it should hook over a fence or gate post. If you’ve got someone with real DIY skills then you could make a more elaborate and sturdier version by making a box to put the bamboo in instead of the plastic bottle. 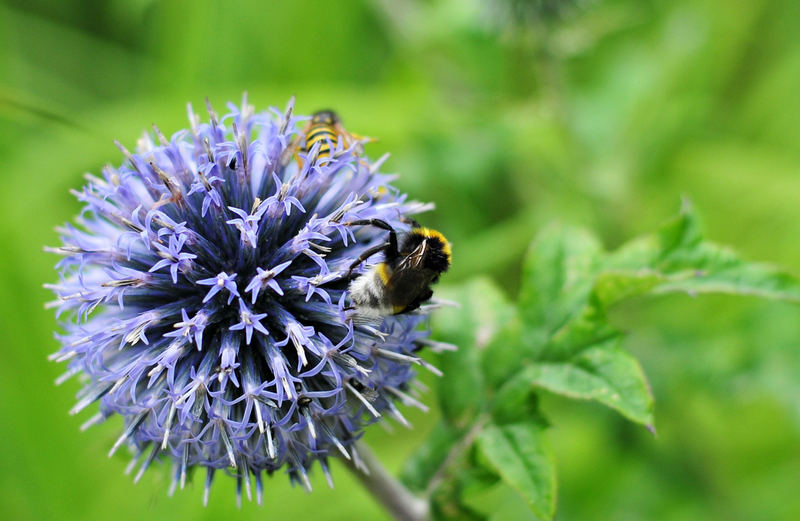 To help attract more bees, why not plant flowers in your street or seed a wildflower meadow. ​Joins up gardens with beekeepers, so you can host a hive at yours! ​All about solitary bees and bee houses.